KARACHI: Prime Minister Shahid Khaqan Abbasi on Friday said that only the governments, representative of the people, could lead the country to progress as undemocratic governments in the past had failed to uplift the country and address national issues. Addressing the inauguration ceremony of National Incubation Center at NED University here, the prime minister said that it was only the Pakistan Muslim League-Nawaz (PML-N) government that always delivered in all sectors. The ceremony was also attended by Minister for Information Technology Anusha Rehman, Minister for Finance Miftah Ismail and aspiring young entrepreneurs. He added that it was democracy at work as huge projects were being executed across the country including highways, power plants, airports and information technology. PM Abbasi said that the NIC, completed at a cost of Rs2.5 billion, would provide an opportunity to young entrepreneurs to launch their startups and help them earn more in the future. The prime minister, who was earlier received by Sindh Governor Muhammad Zubair on arrival at the airport, said he had ended up inaugurating projects worth around Rs100 billion. He added that despite all odds, the government kept up its development agenda and in the next polls, the people would have the choice to judge their performance. The prime minister said that the government had revived the ‘lights’ of Karachi city, once called as ‘city of lights’ consequent to the non-partisan efforts of the federal, provincial and city governments as well as the law enforcement agencies. 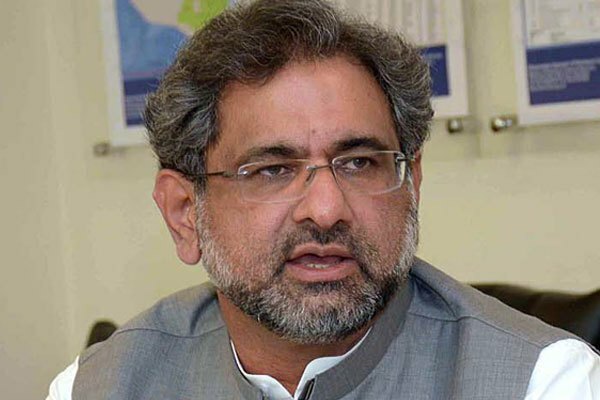 Prime Minister Abbasi also lauded the finance minister for presenting the annual budget for fiscal 2018-19 in which no one could find out any deficiency. He added that in the recently announced budget, the government had proposed reduced tax rate on IT products and would also establish special economic zones for technology. He also gave a six-year extension in the tax holiday for exports of information technology to 2025, a major move aimed at encouraging exports in this era of rapid technological advancement. The prime minister further announced 5 per cent reduction in sales tax on IT, hoping provincial governments would follow suit as after 18th Amendment to the Constitution, provinces were empowered to impose and collect tax on services. This means that now only Islamabad companies will enjoy the sales tax relief. Earlier, IT Minister Anusha Rehman told the gathering that another incubation centre would be inaugurated in Quetta, adding that the number of internet consumers was increasing by a million per year.